March 19-25 is on the calendar as National Safe Place Week. This nationally recognized week serves to increase awareness about the Safe Place program, which partners with businesses, civic organizations and volunteers to provide safety and shelter for youth ages 7 to 17 who are experiencing abuse, neglect, bullying or serious family problems. It is estimated that more than 1 million youth run away from home each year due to abuse, neglect, family conflicts and other issues. The Safe Place program is an option for young people who feel they have nowhere to turn. Safe Place consists of a national network of nearly 20,000 partnering businesses and community locations – such as fast-food restaurants, convenience stores, fire stations, public buses and libraries – that display the Safe Place sign in their windows. As youth enter the designated Safe Places and ask for help, trained staff members connect them to the appropriate youth shelter for assistance. National Safe Place Week recognizes participating Safe Place locations and volunteers for their unwavering dedication to the safety and wellbeing of at-risk youth. The Safe Place program, operated locally by Christian City Children’s Village partners with QuikTrip convenience stores, local fire stations, law enforcement agencies and recreation centers throughout metro Atlanta to provide immediate safety and support for local youth. “We help identify, recover and reunite children and their families all across metro Atlanta who are runaway and homeless,” said Philip Kouns, COO of Christian City Children’s Village and board member of the National Safe Place program. “The Crisis Intervention Cottage at Christian City Children’s Village, located in South Fulton County, provides immediate safe shelter for the child as we address issues at the earliest stage of a crisis,” said Kouns. The Safe Place program has helped more than 330,000 youth since its inception in 1983, and currently serves more than 1,400 communities across the country. It is managed by 133 youth agencies in 37 states and the District of Columbia. To learn more, visit www.nspnetwork.org or www.nationalsafeplace.org. 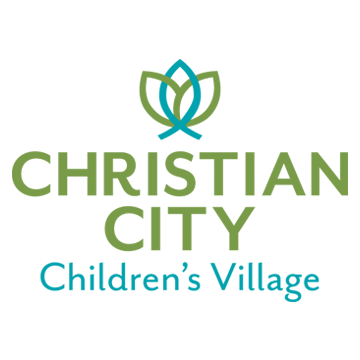 Since 1965, Christian City Children’s Village, located on the southwest side of Atlanta, has provided a safe haven for children who have been abandoned, abused or are otherwise homeless. Children ages 5-18 live in cottages with full-time house parents, where concentrated efforts are put forth to heal their wounded spirits and break the cycle of abuse they have endured. A warm home, healthy meals, clean clothing, quality education, necessary counseling, and a lot of loving care are provided to the children who come to the campus. Some children stay for a short time, while others spend their entire childhoods at Christian City Children’s Village. Christian City was established 52 years ago when the first cottage for abused and abandoned children opened on Valentine’s Day, 1965. 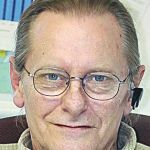 Today, there are more than 1,000 residents, both children and senior adults, living on the 500-acre Christian City campus located 15 minutes south of Atlanta’s Hartsfield-Jackson International Airport. The beautifully wooded campus includes the Children’s Village, a thrift store, four neighborhoods of patio homes and four subsidized apartment buildings for active senior residents, a 150-bed Assisted Living Center, 200-bed Skilled Nursing & Rehabilitation Center, and two specialty units for victims of Alzheimer’s disease and dementia. An array of amenities, activities and services such as on-site Pharmacy, Home Care and Hospice Care are also available for residents of Christian City. For more information, visit www.christiancity.org or call 770-974-3301.